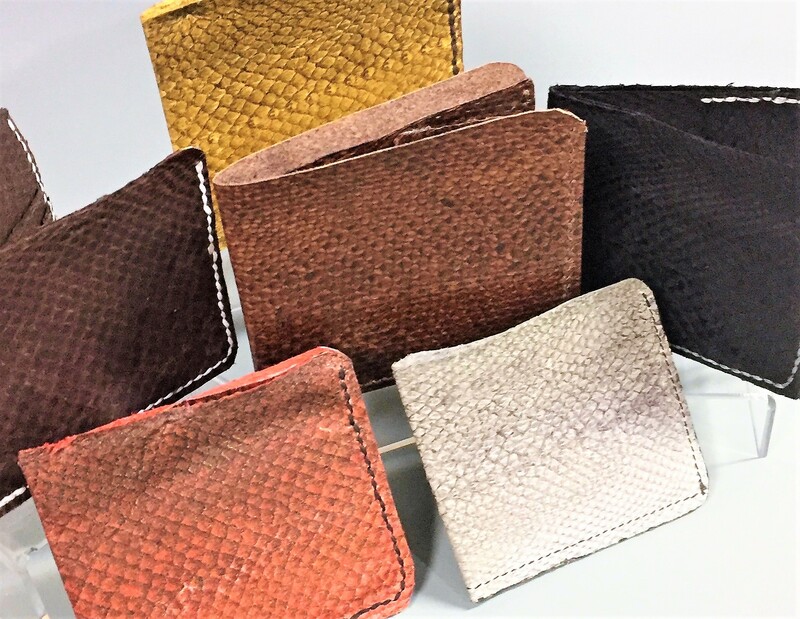 Did you know eco-friendly fish leather uses the skin of processed fish that would otherwise be thrown away? Fish leather is being used today in the design of handbags, shoes, even clothing. In this class you’ll create your own leather bi-fold wallet using tanned/dyed salmon leather. Fish leather is the second strongest leather after kangaroo leather! Each student will take home a wallet with a cash pocket plus 2-4 credit card pockets. The salmon leather is imported from Iceland and will be available in different colors. Just in time for Father’s Day, make your dad a unique and beautiful gift, or forget your dad and make a wallet for yourself! Learn about leather and the difference between fish and cowhide, as well as how fish leather is produced and where. The class will cover stitching techniques and wallet design including measurement and cutting methods.